Purchasing your first or even next property can be a stressful process let alone having to worry about defects in the property which could potential lead to bigger problems. may not be noticeable to an untrained person. You can have complete assurance with Above Board Building & Pest Inspections as we have experience in not only undertaking a complete pest inspection but also in a complete building inspection. With a building and pest inspection, it is two inspections in one as we execute all the same requirements as in our pre-purchase inspections. We will also conduct a timber pest inspection. 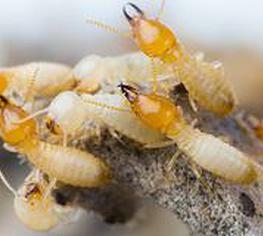 The purpose of a timber pest inspection is to provide a visual examination of all accessible areas of the property, to advise you, our customer of any sort of activity on the property. Defects within the buildings can vary significantly depending upon the age of the building, the extent of the maintenance which has been undertaken over the years, illegal or sub-standard building works including additions. The report details any significant building defects or problems such as rising damp, movement in the walls (cracking), safety hazards or a faulty roof to name a few. It is usually carried out before you exchange sale contracts so you can identify any problems with the property which, if left unchecked, could prove costly to repair. We do a full comprehensive pest inspection as well as a full building inspection, including the use of thermal imaging cameras. Our professionals are qualified and cover the Australian Standard 4349.1 & 4349.3; You will receive a fully written and photographic report same day as inspection which will include evidence of defects identified and the following items are all checked; all internal areas, every room, storage spaces etc, All external areas, decks, gutters, downpipes and appropriate connection to stormwater, window frames, sub-floor, surrounding trees, perimeter fence line, garage, sheds, pergolas and balconies, interior roof, insulation, smoke detectors, safety switches, kitchen and bathrooms.. Evidence of the presence of timber pests, identifying a common name, genus, location of activity or damage, and a general description of the severity of the damage, for as far as practicable and accessible. Evidence of inactive timber pests. Evidence of existing treatment for timber pests. Conditions which may be conducive to timber pests. Visual evidence of damaged caused by timber pests. Evidence of subterranean termite nests found within the property boundaries up to a maximum distance of 50m from the main building.